Once again, Facebook shows that it does not care about "free speech" as they falsely claim. Any longtime followers of our work know that Facebook has double standards when it comes to Jews and Israel supporters, who Facebook actively targets, harasses, and censors. We have long covered the many issues on Facebook, including their active censorship of Jews and Israel supporters. This is not the first time Jews and Israel supporters have been censored, and we're sure it won't be the last. Along with the photo, we explained the context of how Laura Ben-David, who is head of social media/PR for Nefesh B'Nefesh (an organization that is supposed to help Jews make Aliyah, or move to Israel), is "lol'ing" at and supporting a Jew hater's antisemitic "joke"/attack on us. We blacked out the antisemite's name and face, as he is a well-known troll who enjoys getting attention for his antisemitic, racist, and misogynist remarks. He has repeatedly enjoyed harassing us about Jesus, and about going to church with him, which he thinks is just hilarious. Laura Ben-David has long supported this antisemite and his lies and attacks of our effort. She has also supported a New Israel Fund employee's lies and attacks on our work, and his attempt of trying to endanger anonymous Jews and Israel activists. The New Israel Fund staffer in question has also morally equated the IDF to Hamas. So, antisemites and extreme leftists who equate the IDF to Hamas are among the people Nefesh B'Nefesh's Laura Ben-David supports in her hostility against us and our effort. How does this help Jews to make Aliyah or to move to Israel,? It doesn't. And why did Facebook censor this story when there's nothing remotely against its TOS about it? Was our post erroneously reported? Or is Facebook proactively censoring information they don't like? Probably both. It should be noted that we have long welcomed friendship with Christian Zionists, but there are boundaries---namely, we're not interested in discussing Christian theology or Jesus. We're certainly not interested in going to church. Upon learning that, Laura Ben-David's antisemitic friend harassed us about it, which we ignored. He, like others, even went so far as to try to endanger Jews he falsely claims are anonymous Jewish and Israel activists. As we mentioned above, he's not the only one who has done this---there's a whole slew of Jews and "Israel supporters" who have stooped to the lowest of the low levels in their attempts to hurt our effort. We're talking about people like David Ha'vri (who is a violent criminal, literally, with a serious criminal record), several different employees at the Jewish Agency, and others. 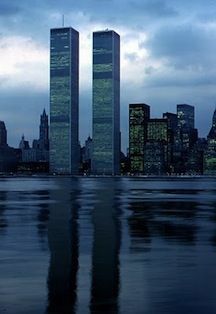 It is a real shame, especially as they have inaccurate information which was originally published on an antisemitic website, which not only tried to "out" anonymous Jewish and Israel activists, but also blamed Jews and Israel for 9/11. Some people, like David Ha'ivri have directly cited the antisemitic source while others plagiarized from it. Either way, it's inaccurate information solely published in an effort to endanger and harass Jews and Israel supporters. We hope to expose many more problems we've been dealing, as it will put a lot of what we say and do, especially with regard to the failure and neglect of the mainstream Jewish/Israel establishment and the Jewish "leaders" involved with it, into a very important context. And perhaps future generations will look at what we have tried to expose to understand "what went wrong" with Israel and Jewish "leadership." Jew haters making antisemitic jokes is nothing new. "Jewish professionals" who get paid good money to advocate for Jewish/Israel organizations laughing at and supporting antisemitism, is. We used to support Nefesh B'Nefesh and would give them $1000's in free advertising, as we often promoted them to our followers on Facebook, Twitter, YouTube, our site, and elsewhere. Many of our activists have indeed made Aliyah through them. Others have inquired about making Aliyah through them. But our support of Nefesh B'Nefesh ceased when we realized that they are well-funded by an antisemitic Christian missionary, John Hagee. Hagee once claimed "disobedient Jews" were responsible for the Holocaust, and his antisemitic conspiracy theories are on par with Adolph Hitler's. Somehow, this doesn't trouble quite a few Jewish organizations, like Nefesh B'Nefesh, who happily take millions of dollars from him. You can view a list of other Jewish/Israel organizations that are in business with the antisemite, John Hagee, in the middle of one of our other posts, here. Beyond that, this is probably the most definitive site about Hagee and what he is doing to undermine Jewish and Israeli leadership, in Israel. If you care about Jews, Jewish identity, and Jewish continuity, please read it all closely. Hagee's antisemitism and effort to convert Jews doesn't seem to trouble the thousands of Christians and others involved in his organization, "Christians United for Israel" (CUFI), unfortunately. We think that it's no coincidence that representatives of those organizations have, in response to us calling out his antisemitism, lied about and attacked our effort and have even tried to endanger people they falsely allege to be a part of it. Apparently, if someone claims to support Israel that they can be as antisemitic as they want to be, and Jewish organizations and "leaders" will look the other way and may even take part. Not us. In return for his money, are Jews and Israelis looking the other ways when it comes to Hagee's antisemitism, or his effort to target Jews for conversion? Since some antisemites claim to be "pro-Israel" and they fund Jewish and Israeli organizations, is it suddenly OK to be friendly with Jew haters and laugh at their antisemitic "jokes?" Keep in mind, this is not just happening on the right with the Hagee crowd, but there's plenty of Jew haters and their Jewish supporters on the left, too. For example, Michael Skolnik, who is Russel Simmons' political director to Russell Simmons and Editor of http://GlobalGrind.com. This guy's boss, Russell Simmons, is very close with all sorts of Jew haters and Israel haters---whether it's Farrakhan we're talking about, or people like Benjamin Chavis Muhammad (who Simmons hired after Muhammad was fired for antisemitic comments), Cynthia McKinney, Earl Hilliard, & Ras Baraka. But back to Hagee, whose money does a great job of fragmenting our people and undermining Jewish leadership. Because we have called out his antisemitism and have questioned Jews and Jewish/Israeli orgs who take his money, we have been attacked in the worst ways from people who should be on our side. His money has proven to be a corrupting force for Israel and the Jews, and this is yet another example. Again, keep in mind that Facebook has actually gone out of its way to protect the "free speech" of Holocaust deniers. We are an organization that actively fights antisemism, Holocaust denial, and Islamic terrorism online. Why is Facebook supporting antisemitism and the enemies of Jews and censoring Jews and Israel supporters? Why are Jewish/Israel organizations like Nefesh B'Nefesh taking money from antisemites? Why are "Jewish professionals" supporting Jew haters and laughing at their antisemitic "jokes?" This should outrage anyone who is against antisemitism or censorship. 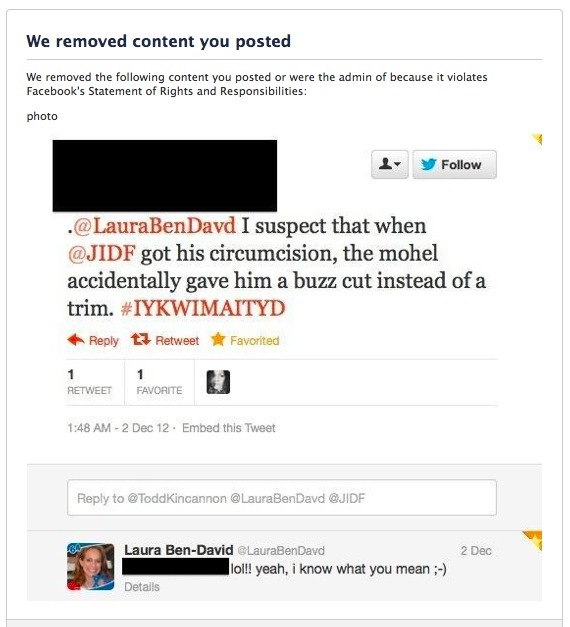 And really, Laura Ben-David should have been fired ages ago. Many have written several complaints about her to NBN. If you think it's inappropriate for "Jewish professionals" to "LOL" to antisemitic "jokes" and if you think it's wrong for them to take money from antisemites, be sure to let Nefesh B'Nefesh know about it.